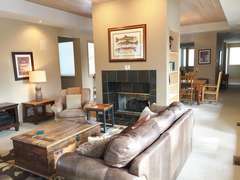 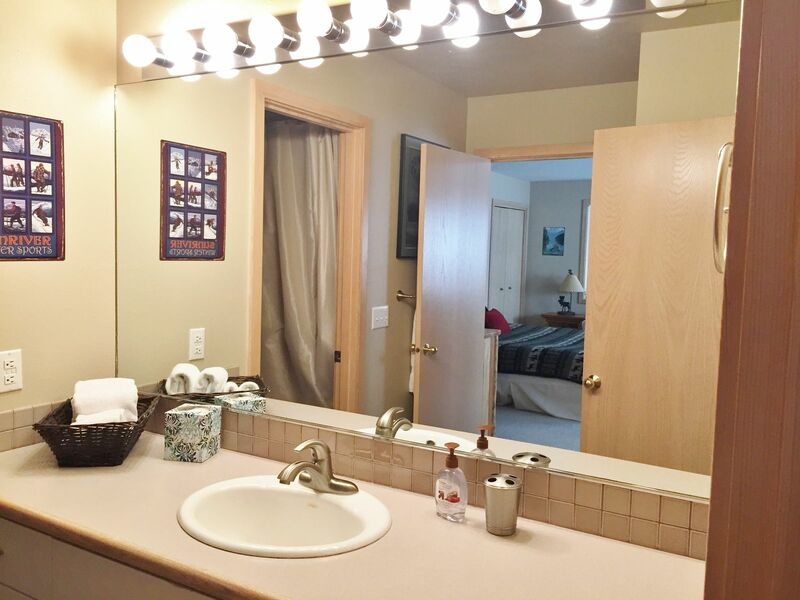 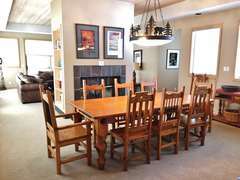 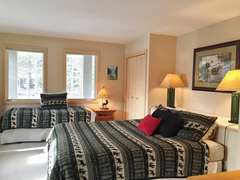 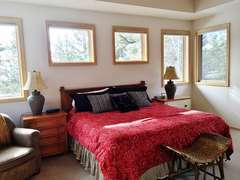 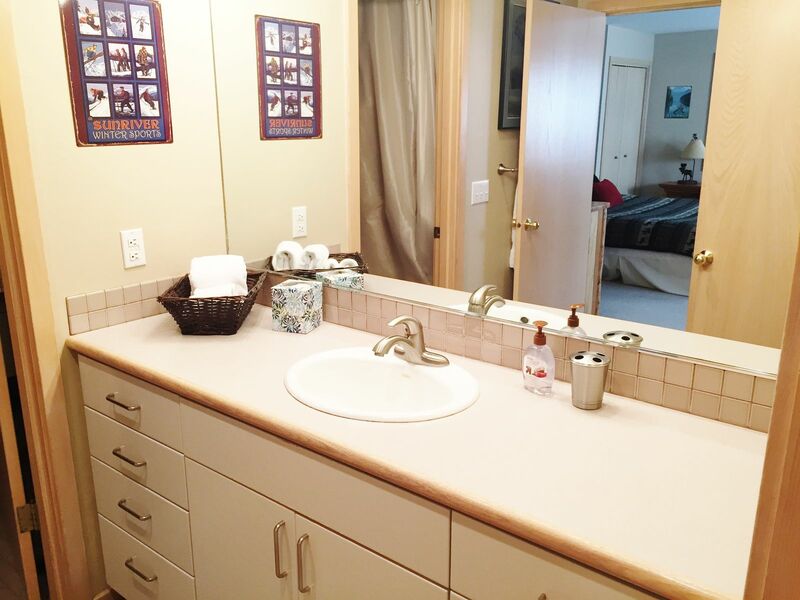 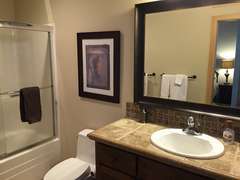 17 Duck Pond is among some of the best Sunriver, Oregon rentals you'll find. 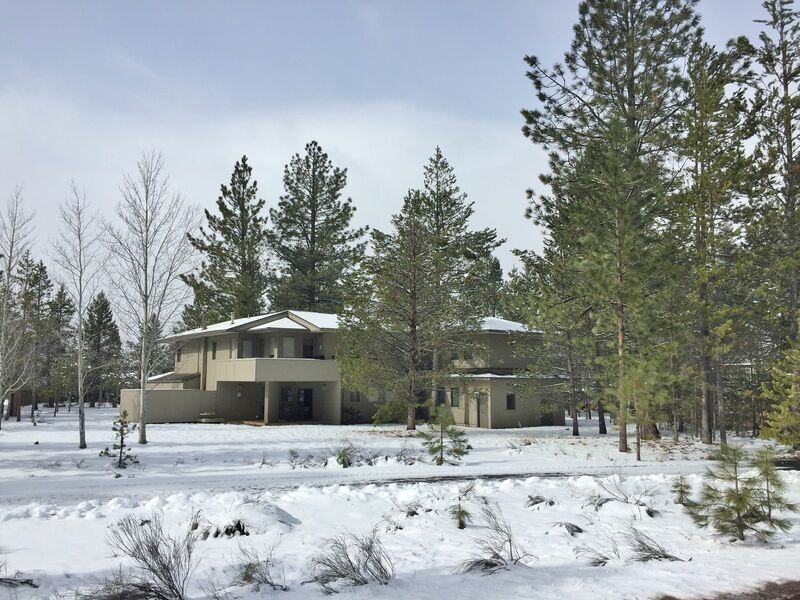 This home site located very close to the river, and also within easy walking distance to SHARC, Sunriver Village, and Fort Rock Park. 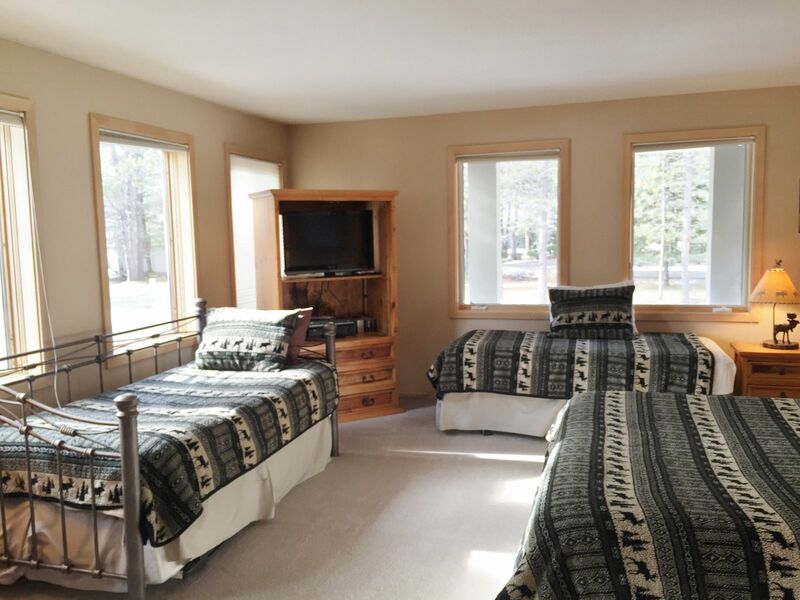 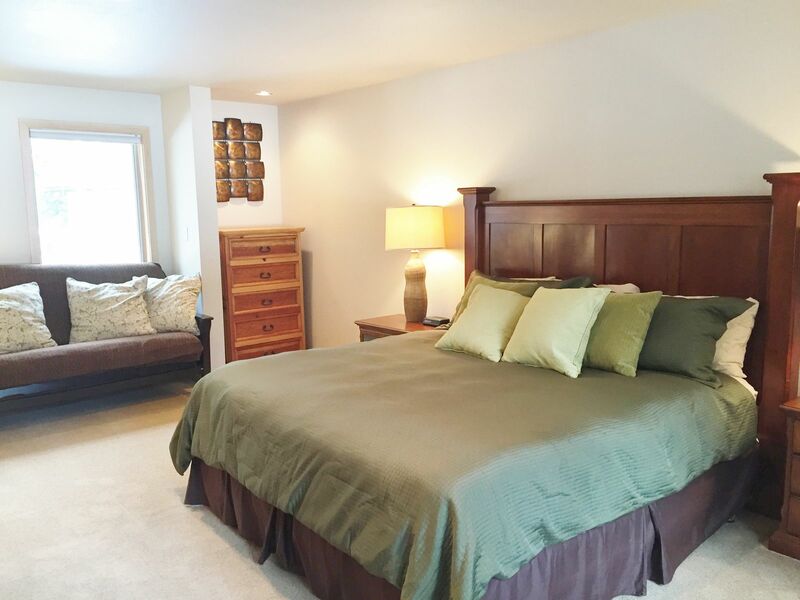 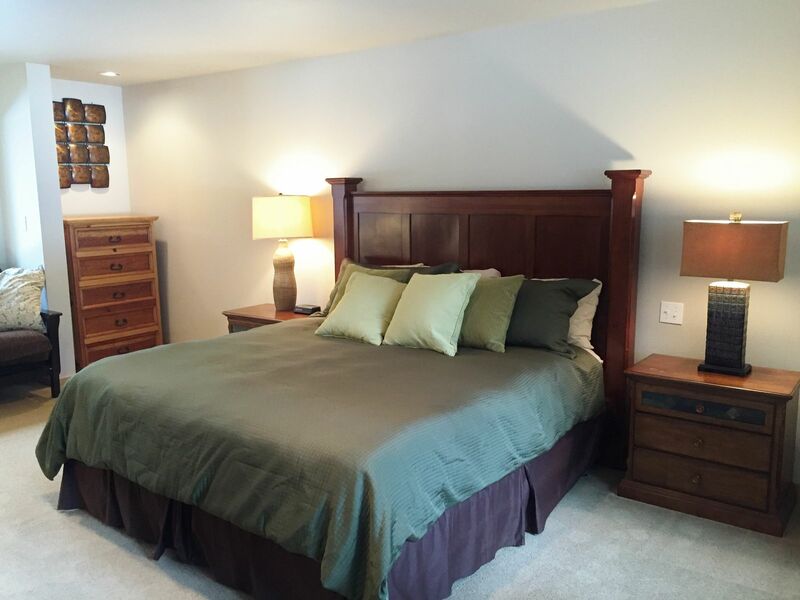 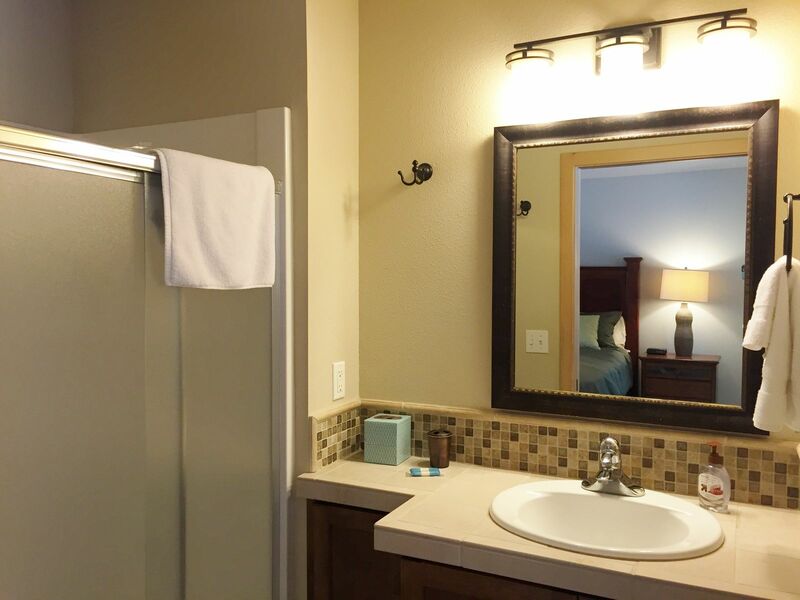 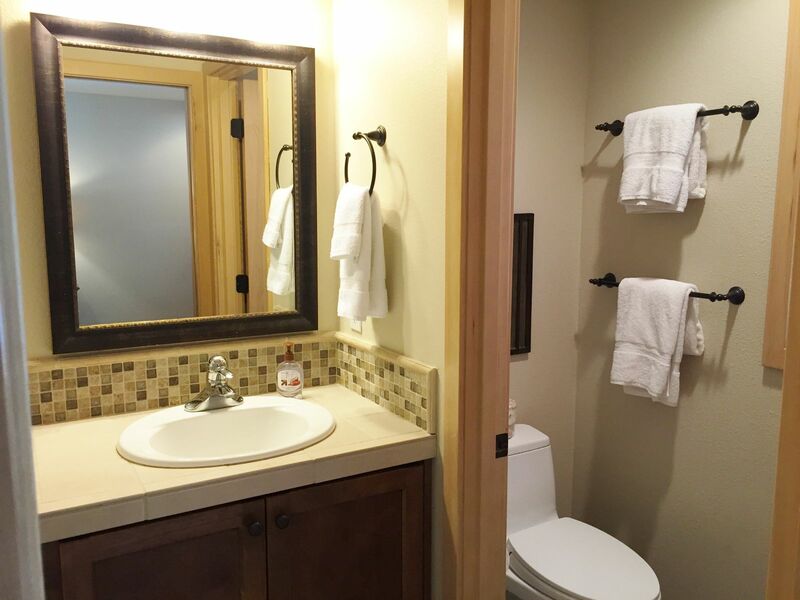 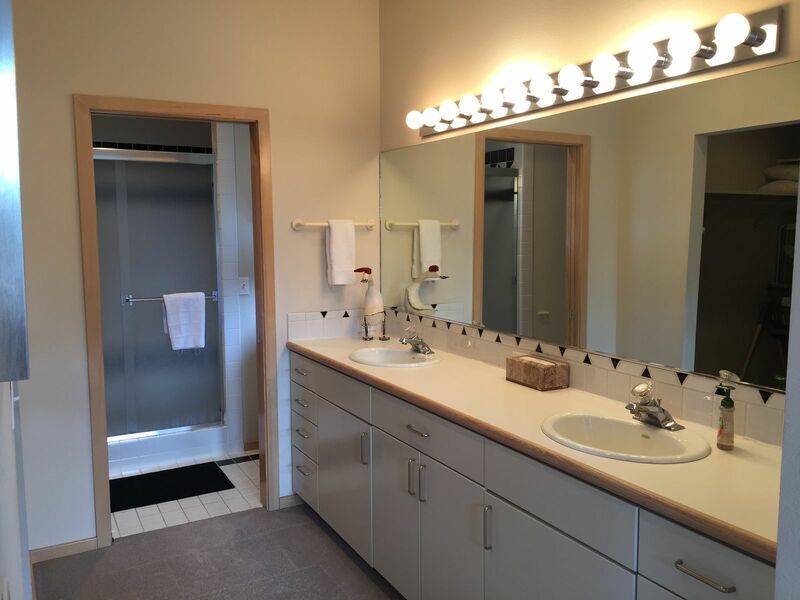 The home has the room and amenities to accommodate your family gathering, with enough space for everyone to relax and enjoy the Sunriver Lifestyle. 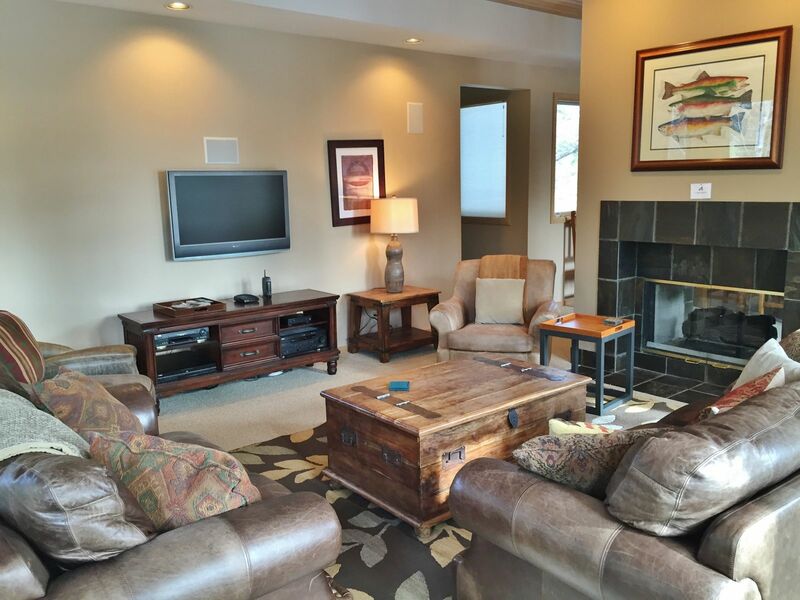 This well appointed home has the room and entertainment for a perfect family vacation. 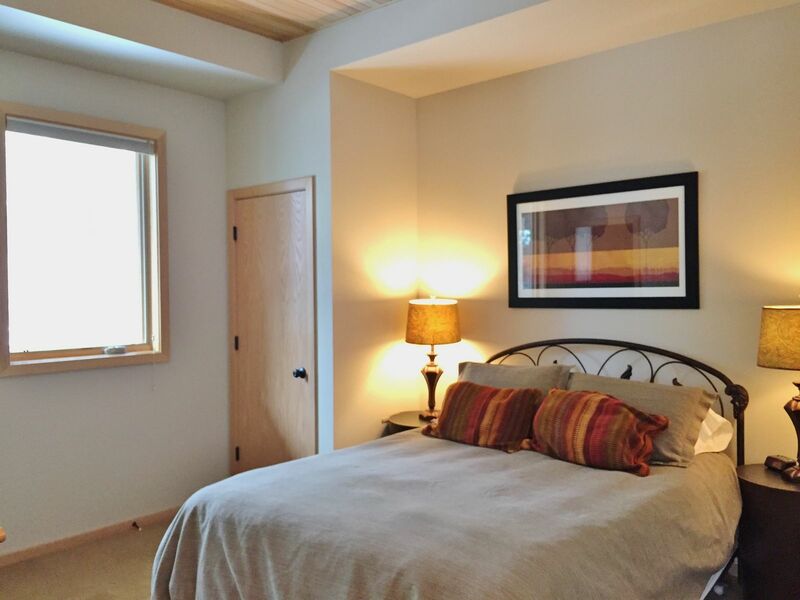 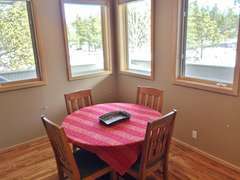 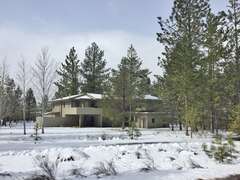 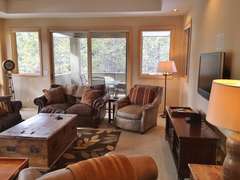 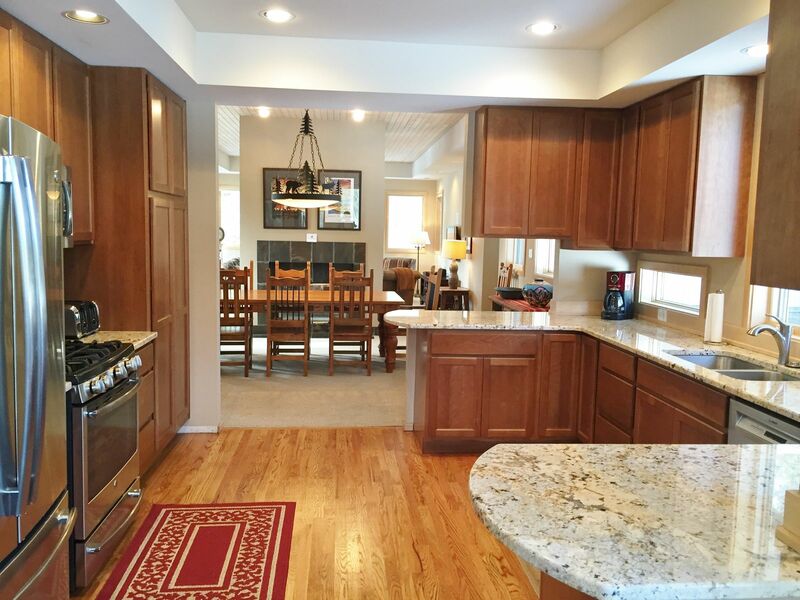 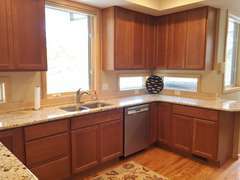 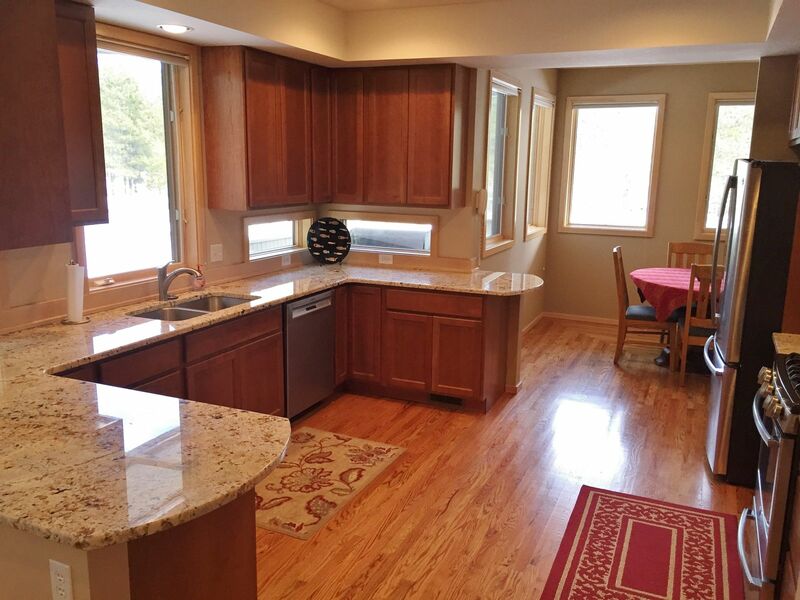 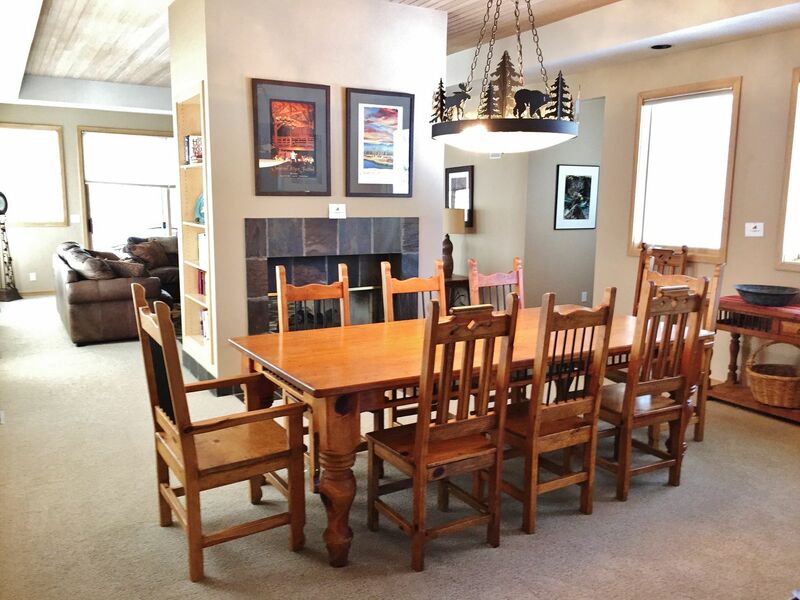 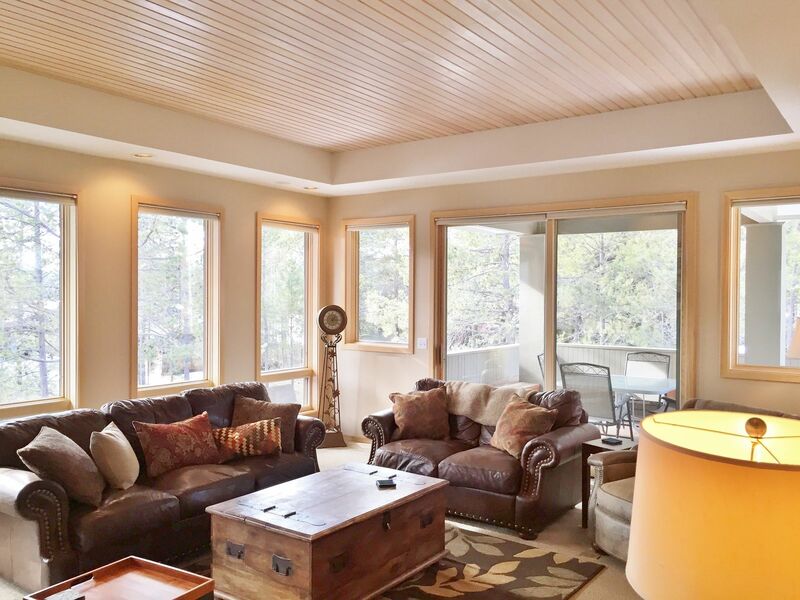 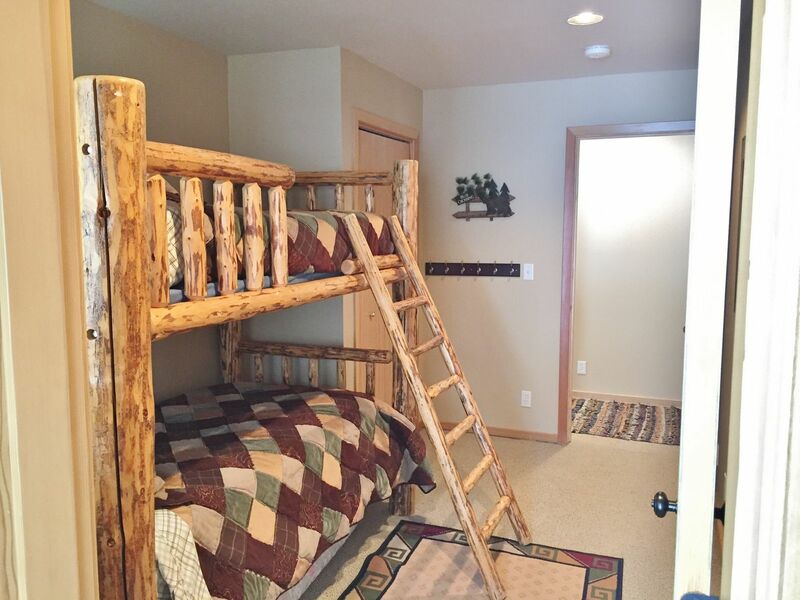 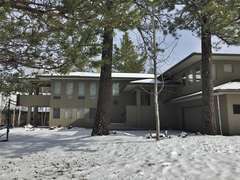 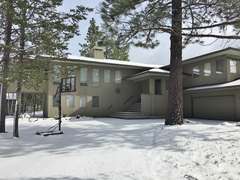 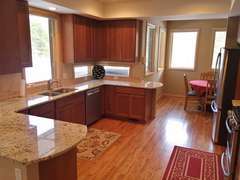 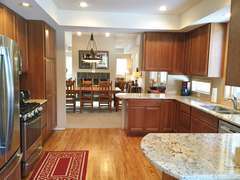 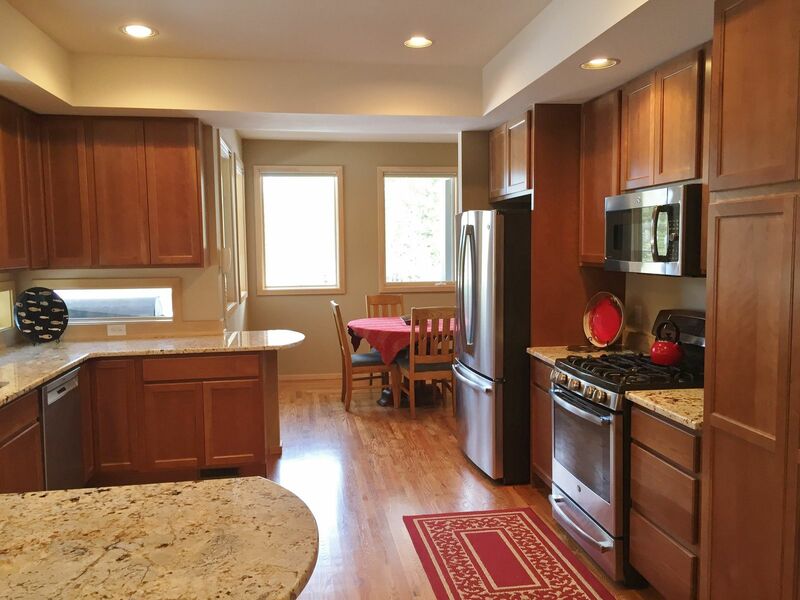 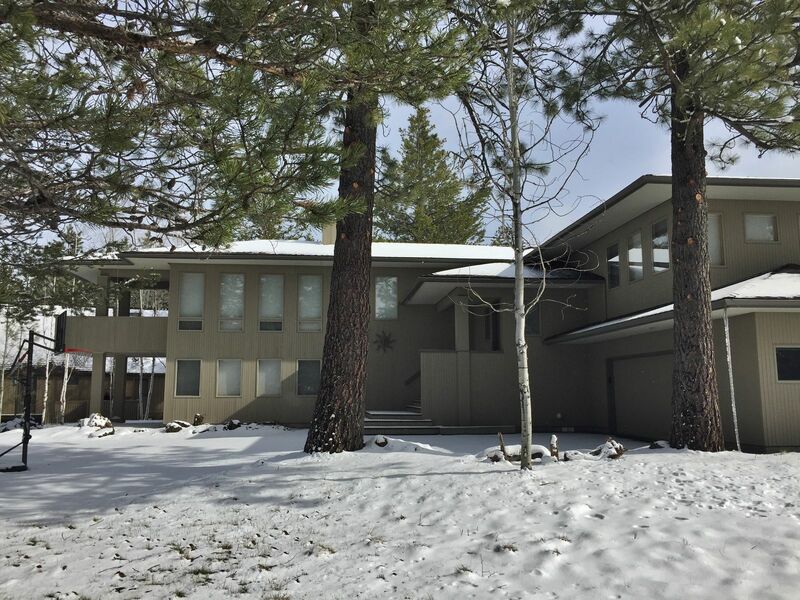 At 17 Duck Pond you can prepare your meals in the newly remodeled kitchen, enjoy the covered outdoor balconies and decks, or curl up in front of the fire with a good book and views of Sunriver nature through the endless windows. 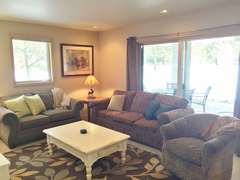 The living and family room have flat screen TV's. 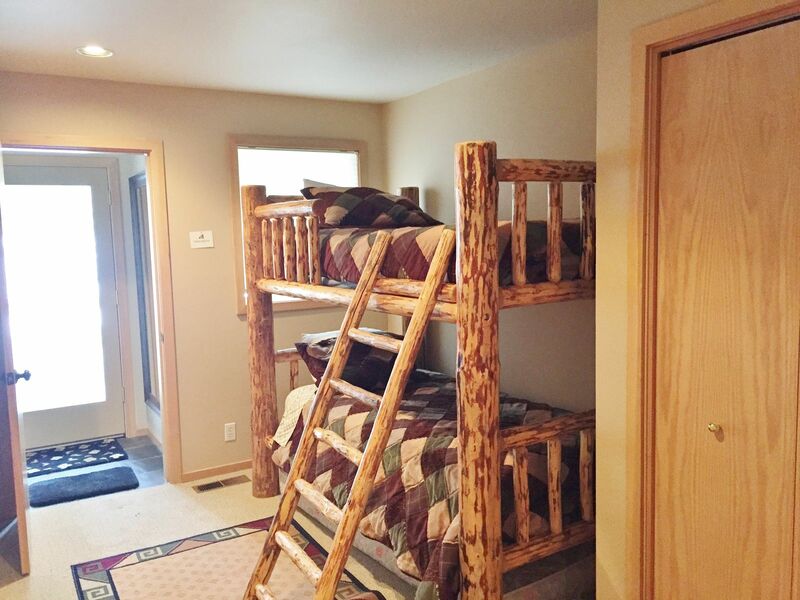 There are ping pong and foosball tables in the garage, basketball hoop, private hot tub, 10 adult bikes, and plenty of games and books for everyone in your group. The home comes with "Unlimited-use" SHARC passes for 12 guests. 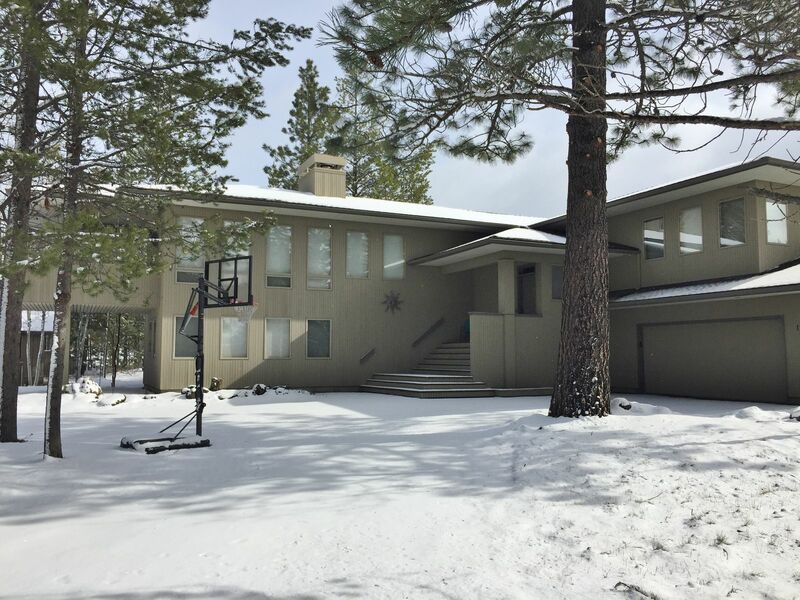 The passes give access to the SHARC (indoor and outdoor pools) Sunriver Owners Tennis Courts and the new Sunriver Owners Marina. 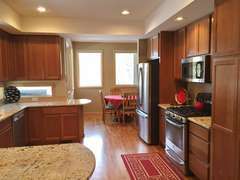 17 Duck Pond is a 2-story home with the kitchen, dining area, living room, breakfast nook, and 2 master suites located upstairs. 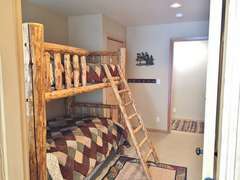 Downstairs are 2 more master suites (one of the master bathrooms has access from the hall, also), a bunk bedroom, and a family room. 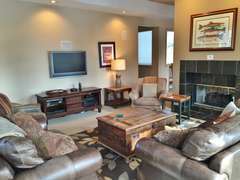 The family room has a TV and games and access to the hot tub. 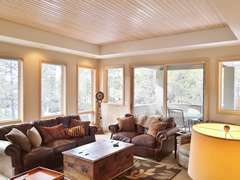 There are beautiful covered and uncovered balconies and decks around the house for fantastic indoor/outdoor living during the summer months. 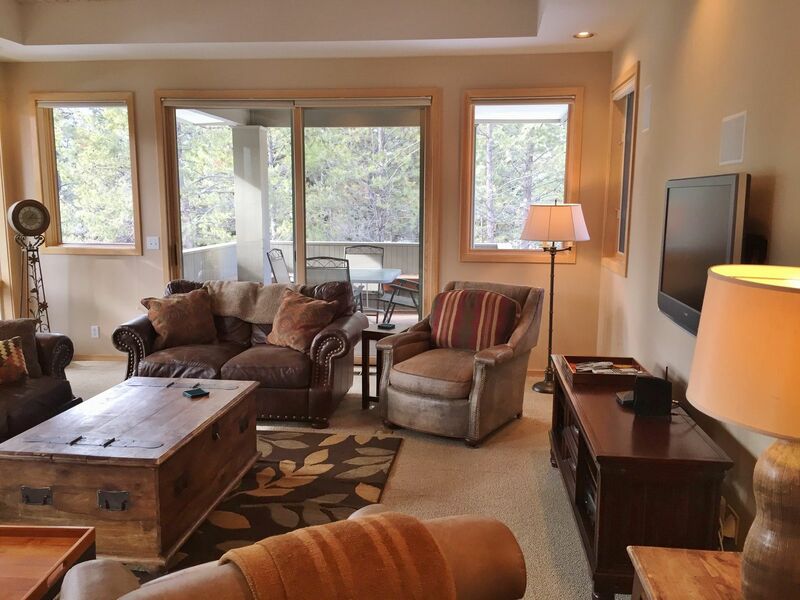 There is plenty of room for everyone to enjoy the sunset with a glass of wine, or sunrise with a cup of coffee. 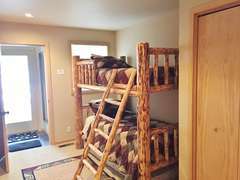 A portable crib and portable high chair are in the home for families with small children. 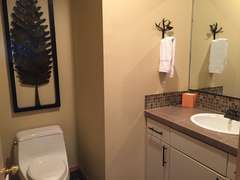 Pets not accepted.